The Facebook Moments app launched in the US last year and now the app is available in Europe and Canada although it does not have all the features of the US version. The original app launched in the US with facial recognition, the European and Canadian version of Moments does not come with the same feature as the US app. Finally, an easy way to get all the photos of yourself trapped on your friends’ phones. After events, celebrations, trips or just hanging out, it’s no longer a hassle to collect all the photos you’ll want to look back on. 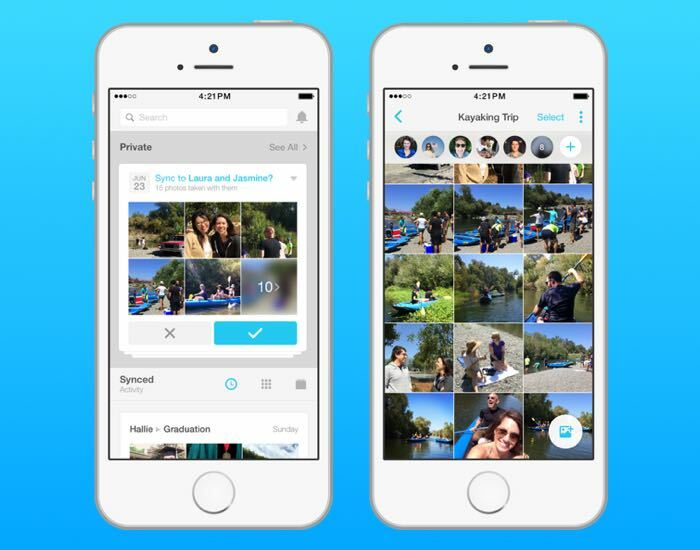 With Moments, you can quickly give your photos to friends and get their photos, too. The new version of Facebook Moments can’t automatically identify people in your photos, although it can suggest a group of photos that may contain the same person. Facebook is using object recognition instead of facial recognition in the app in these countries, to comply with local regulations on facial recognition. The new app is now available to download for both Android and iOS in Canada and Europe, this now means that the app is available worldwide and you can use it to share photos with your friends and family around the world.